The whole purpose of your eCommerce website is to generate sales and online purchases. Because of that, ProductCart wants to make it easy for you to choose and manage payment options for your customers. Getting started with your payments is simple. 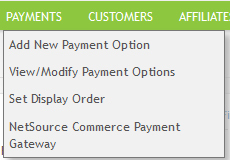 Just log into your ProductCart account, click on “Payments,” and start adding your payment options. Right now, ProductCart partners with over 30 payment “gateways” to provide easy and secure order processing. ProductCart site owners can choose a gateway that will be used for all their payment processing. While there are many great payment gateway options, we recommend using the NetSource Commerce Payment gateway developed by our team of experts. This gateway allows customers to securely store their payment information for future use. Amazon Payments is also an excellent choice as a gateway or add-on. Through the Amazon Payments gateway, customers can sign in with their Amazon credentials, and Amazon will pull all their information (including credit card information) to help them pay. The payment information stays with Amazon and passes through the gateway into the site owner’s bank account. No information is stored on the site or with the owner, ensuring the customers’ information is safe and secure. 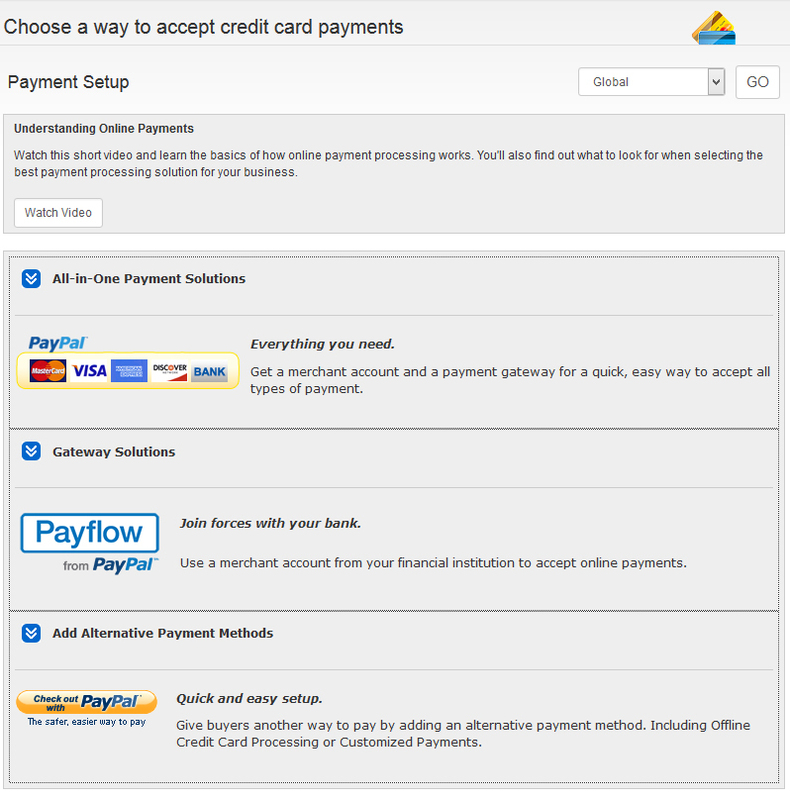 The PayPal Gateway can also be used to help make your customers’ checkout process smooth and secure. There are many options available for PayPal Payments, including Standard, Advanced, and Pro, where you can fully customize your checkout pages and accept credit cards directly on your site. Meanwhile, PayPal Express Checkout gives shoppers the ability to sign in with their PayPal credentials and quickly purchase products with their stored information. To ensure your customers’ information is always secure, ProductCart uses a 2-step payment process. Once a customer submits their payment, the payment is authorized and captured by the gateway service chosen by the owner in their account settings. The site owner and ProductCart host never actually see the payment information, which gets encrypted or tokenized directly the gateway service. If requested by the site owner, we can add a credit card vault service, which does allow customers to store their credit card information. If provided, the credit card vault would be (Payment Card Industry) PCI certified, in order to securely hold the information. The credit card vault services are provided by PCI Certified third parties, and are only available to site owners who use either the NetSource Commerce Payment Gateway or Authorize.net gateway. From web design to payments, ProductCart is all about customization. As a site owner you can create custom payment options, choose which fields your customers will fill out, and specify which ones are required and which are not. The number of fields you choose is unlimited, and what information you request from customers is completely up to you. Having a payment system set up for your customers is arguably one of the most important aspects of your ProductCart eCommerce website. After all, without a payment system, you cannot make any money. However, site owners tend to wait until the last minute to set up their payments, which can lead to a delay in their site launch. Make sure you get your payment gateways set up ahead of time, so when your launch date arrives, all you have to worry about is fulfilling your orders. If you have any questions about payments, gateways, or any other aspect of your ProductCart site, Contact Us or call our Toll Free number (800) 804-1680. If you don’t have a ProductCart site yet, check out Our Website to find to see all the great features we offer for your business.